Empowering, exceptional and excellent are words to describe the work ethic and philosophy of the Women of Dover Federal Credit Union! With a female workforce of 85%, who serve a membership of more than 45,000, these ladies take personal satisfaction in providing empowerment opportunities that promise to make a positive difference in your financial life. When these talented women aren’t helping a consumer review their credit report to identify areas of opportunity to reduce high rate loans, or meeting with a small business owner to support the expansion of their business, you will often find them fulfilling the credit union philosophy of ‘People Helping People’. Within the past year, this team of influencers, have contributed their time, effort and resources to local charities that improve the health and well-being of members and their families and the communities they serve. From supporting the March of Dimes, Food Bank of DE, American Heart Association, DE Breast Cancer Coalition, Autism DE, Meals on Wheels DE and Back to School drives, just to name a few, these exceptional ladies take extra initiative to serve in capacities that support our military, underprivileged children as well as stimulating local, economic development. Whether it’s serving as the Military Affairs Chair, taking active roles within local chambers of commerce, serving on the board of directors for non-profits, helping to write grants that stimulate development of our communities, providing complimentary financial education seminars or serving as Rotarians in an effort to support groups such as the Murphey School and Habitat for Humanity, the ladies of Dover Federal Credit Union are an excellent representation of what makes Dover Federal Credit Union exceptional. 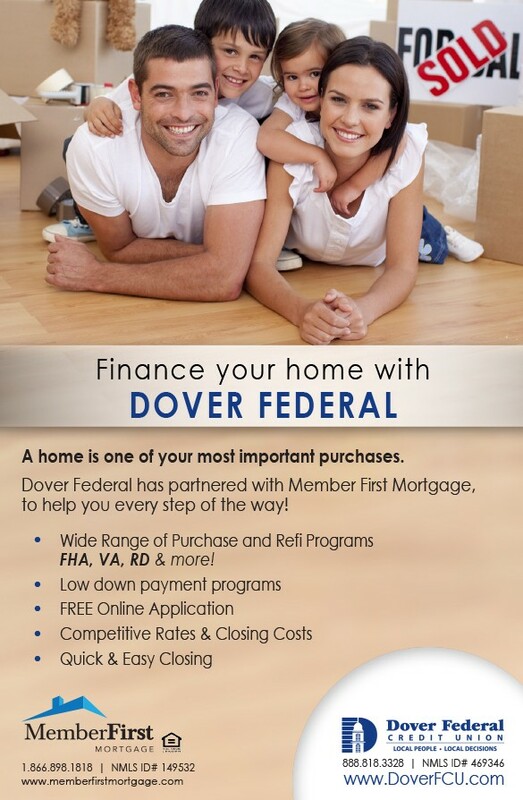 To learn more about being a part of the Dover Federal Credit Union family, visit www.doverfcu.com. Dover Federal Credit Union is the largest credit union in the state of Delaware, with an asset size over $450 million. Dover Federal has offices in Smyrna, New Castle, Milford, and Dover, including one at Dover Air Force Base. Next Story → Under Pressure: Are You Providing The Wages Candidates Expect?